The title pretty much says it all and although many Filipinos have already gone accustomed to a car loan impounding system, just a couple of years ago, the car loan without taking your car scheme has been introduced to the borrowing public. Due to industry insistent demand that the vehicle owners may be able to use their auto or car for business, work, office or for whatever source of income they have to be able to pay for the monthly loan amortization dues, this OR CR loan has been born. Today, as a top loan consultant in the Philippines for collateral pawning, I have carefully studied this type of loan offer and have gained so much experience in the past years trying to offer and get as much clients as I could thru online presence and visibility. I have by far gained attention from the borrowing public to use their vehicle as collateral to get fast cash and apply for a loan wherein they don’t even need to surrender or have their auto under impound status. Yes, if you are one who is interested to file for a car loan without taking your car, you may do so now through my free services. I have assisted literally hundreds of car owners to apply for this type of collateral loan and so far, the feedback is good as well as the return on investment from time, effort, money and all other factors needed to get my online advertisement running to get possible clients. As of the writing of this post, I am currently trying to explore theoretically, all possible angles of getting to a new level of offering auto loan. That is by getting to car refinancing or car takeout / buyout and second hand car loan for those who want to buy a second hand vehicle to use either for personal purposes, for business or just simply to have one as a gift for self. Anyway, to enlighten those who would be looking forward to apply for this type of loan in the Philippines in exchange of quick cash, below are the mechanics of how to get approved fast, get to maximize your loan and eventually know the different documentary requirements and how to pre qualify. This is a priority and most important step and is a first to be taken as a prerogative – ask about rates and numerical values in terms of interest (if it is low enough and acceptable), processing fee, chattel mortgage fee, insurance, documentary stamp cost and so on. You might want to read my article about how to achieve higher loanable amount our of a car loan. Ask whatever charges will be incurred and deducted in your loan proceeds so you know more or less how to expect to receive at the end of your application. Remember that hidden charges is against the law in the Philippines so do demand an explanation from the loan presentor and do ask questions regarding the charges and fees. There is no such thing as hidden charges in legitimate lending companies, otherwise, they’d be running closed business because it is punishable by law. It’s all about an issue of declaration and presentation on the financing company’s end and about asking for full computation on the end of the loan borrower. Know your rights so you don’t get caught up in the traffic of losers in the end. Know what category you fall in before application process starts. 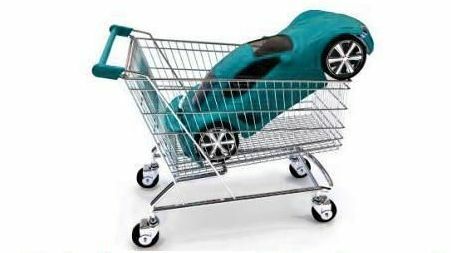 There are practically 4 choices – corporate car loan / personal car loan / car refinancing or takeout / new car refinancing. Currently, I only offer my assistance for the first 3. Know and prepare the basic car loan documentary requirements and be sure to ask your loan consultant or loan agent about this matter. If you see any listed requirement not possible for you to produce, by all means, ask for alternatives. Professional agents know your options and maintaining a good communication with him or her would be one of the best instruments to get your loan approved faster than you can imagine with less hassles. Ask for an option on how to send in your documents and requirements – I’ve learned recently that loan borrowers are already knowledgeable about online options and due to busy hectic day at work or business, most qualified car loan applicants want to have the option to send these requirements via online system. I do it today but bottom line is, you will have to bring the vehicle to the lending company to have it stencil by an account officer. So I guess the step here is to pre qualify first. After knowing your chances of approval, then go ahead and send in via email or fax your documentary requirements. Knowing the top reasons why a loan gets declined is another instrument for higher approval rate and avoiding getting disapproved of your application. Know if you have an option to apply to a branch near your area. There is a large list where I cater to provinces and Metro Manila here. Note that there is a disadvantage in opting for this one. Many freelance loan consultants have a mother branch where they assist and pass documents of loan applicants or borrowers. In my case, I am based in Makati so if you apply elsewhere in Manila, chances are, you might have problems with fast approval which most borrowers love. The time frame for loan approval suffers when the application is entertained elsewhere apart from the mother branch where I work. This can be worked out otherwise, just ask me how and I would be glad to assist and explain how. Availing the right loan amount – there is no secret to preventing car loan forclosure or getting your car repossessed by any lending company. All you have to do is be cautious about how much your capacity to pay is. Getting a high loan is not practical if you do not have the money to pay for it. Today, many lending companies want to avoid it too but because of negligence and over reacting to monetary needs, many borrowers end up in a foreclosed property. They usually declare low monthly expenses just to get a higher loanable amount at the end of the application process. This is one of the major causes of ending up in a foreclosed property be it a car or a house so be sure to talk it out with your loan agent. If he doesn’t know matters like this, don’t apply and get his services. Free loan consultation and assistance service is practically useless if there is no proper knowhow about how the loan your are applying for works. Understanding and knowing it will always give you more choices and options and best of all, the advantage. I have prado 2005, what’s the interest rate? assuming 50k loan amount, how do i pay the loaned amount monthly, is it principal + interest (divided equally depends on the availed months period of loan) or monthly interest only then later will pay one time payment for the principal? For a Prado 2005, the interest rate is 2% for your intention to loan 50K pesos using your vehicle as collateral. Loan amortization payment term is maximum 18 months. Computation will be done upon availing and submission of documents because many factors will take effect in using your OR CR as collateral to file for car loan in the Philippines. You can find an article of the factors affecting loan amount, interest and computation as well as appraisal here – http://www.cashloansphilippines.com/car-financing-top-5-factors-affecting-loan-approval-rate-in-the-philippines/. A car buyout or takeout as what we call it usually requires that you must have paid at least 60%-70% of the total mortgage or loan amount you have with a lending or financing company whether private or bank. You failed to mention how much is the total mortgage amount but from my own estimate with a 2005 Innova, it would most probably qualify you for a buyout loan. Please contact me ASAP for particulars so I can help you. My services are 100% free in that case. I have a 1992 Toyota Corolla. Is it still acceptable to have it pawned just by OR CR only? If yes, is it possible to have it pawned for 40k? If again yes, how much is the interest rate and what is the payment scheme?